The Fishing Adjunct is a group of Club members who enjoy fishing and good company. 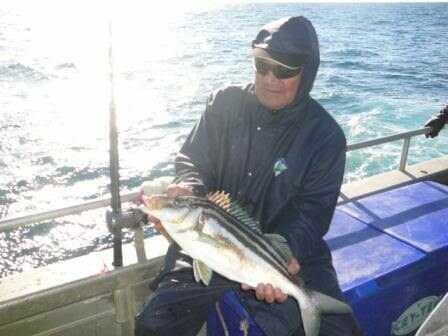 Trips are organized on chartered boats mainly out of Wanganui and Porongohau. There is also a trip to Riversdale in either October or November each year – fishing for Crayfish, Paua and line fishing. For a small fee each year you can be part of these trips and join in on our annual barbeque and mid year dinner.